Obtain Your Second Citizenship and Second Legal Passport With the Help of ISOG Lawyer and Attorney at Law. Being able to count on a second legal passport greatly facilitates travelling the world, make business in other countries and open bank accounts. Many countries allow multiple citizenship. Travelling around the world freely is important to the citizens of many countries who are obliged to get a visa to travel. Doing business and opening bank accounts in other countries is crucial for European and American citizens because of the OECD agreements and FACTA requirements imposed onto all countries around the globe. Reporting economic transactions made by the European and American citizens around the world, including the opening of bank accounts, is something that is affecting or is going to affect the entrepreneurship of those individuals and is going to hit the economy of many countries knows as tax havens. 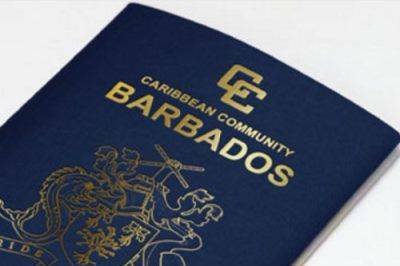 In the Caribbean there many islands that offer a second citizenship program by investment. Antigua and Barbuda, Domenica, St. Kitts and Nevis, Grenada and Saint Lucia are just a few countries that offer such programs. However, these programs are for affluent people since the minimum investment available is USD 100,000.00 plus the legal expenses for processing the application. Therefore you should consider a minimum cost of around USD 200,000.00. Good news is that there are other countries in Latin America that offer an easy path to get the citizenship. Among them we have Dominican Republic and Panama. The advantage of these countries is that you do not need to get a visa to travel to Europe; Panamanian citizens can travel to Europe and stay for a period of six months, without asking for a visa. ISOG lawyers and attorneys at law recommend a second citizenship and second legal passport of Panama and Dominican Republic. This latter passport can be obtained for being an economic investor. These passports are the least expensive to obtain. Moreover they have the simplest application process among any other citizenship programs currently available in different tax havens. The overall process for obtaining the passport is short compared to other countries. With a second passport from these countries you will enjoy visa free travel to many countries and no-hassle opening of bank accounts. A second citizenship and second legal passport are also part of our asset protection planning service. If you need a second legal passport to protect your asset and as well as to travel abroad freely, ISOG lawyers and attorneys at law can help you solicit one.